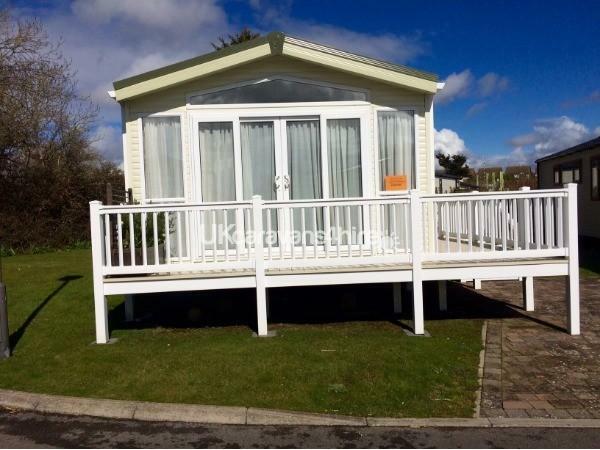 Additional Info: This Holiday Home Offers Double glazing, large gated decking area with table and chairs. Lower patio with picnic bench. 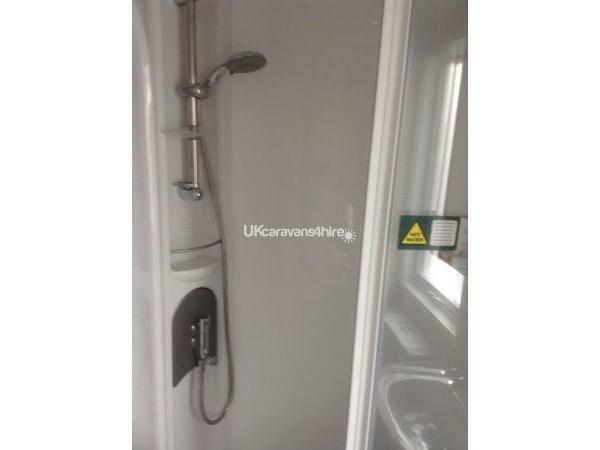 2 bathrooms and a walk in wardrobe in the main bedroom. 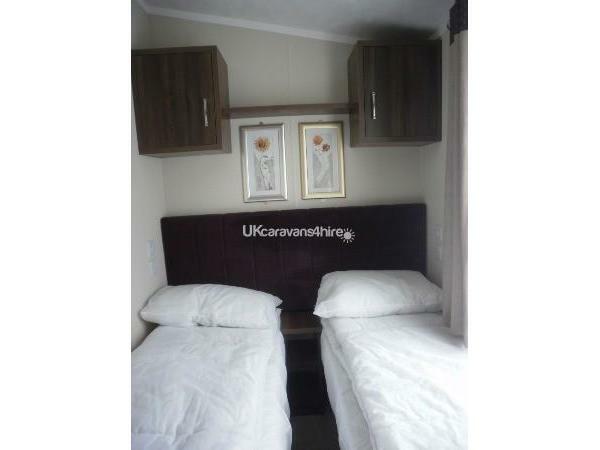 Highchair and Travel cot under single beds. Bookings for 2017 will be Monday to Fridays and Friday to Fridays only. Costs according to season on application to windsor26weymouth@gmail.com. Discounts for previous customers of 2016. 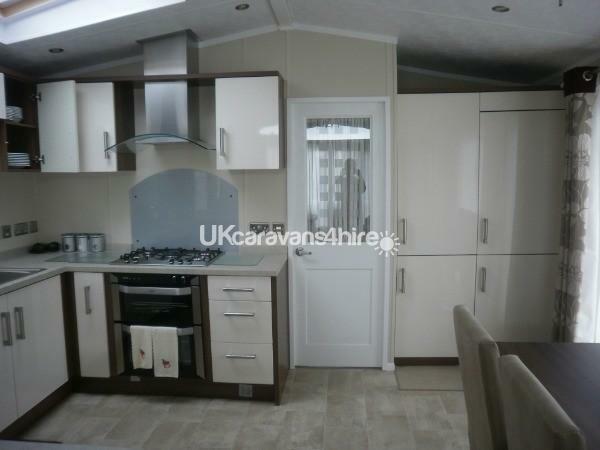 This 2013 Pemberton Park Lane, 42' by 14', caravan- rated as Platinum - boasts double glazing and central heating. 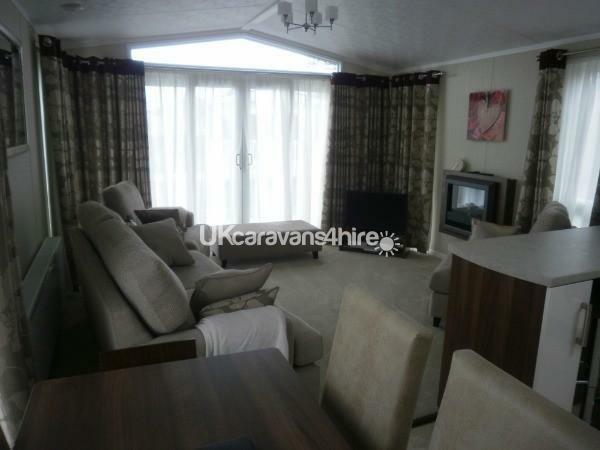 A large lounge with integral TV/DVD player and blue tooth speakers. The kitchen hosts a dining table and chairs for four people. 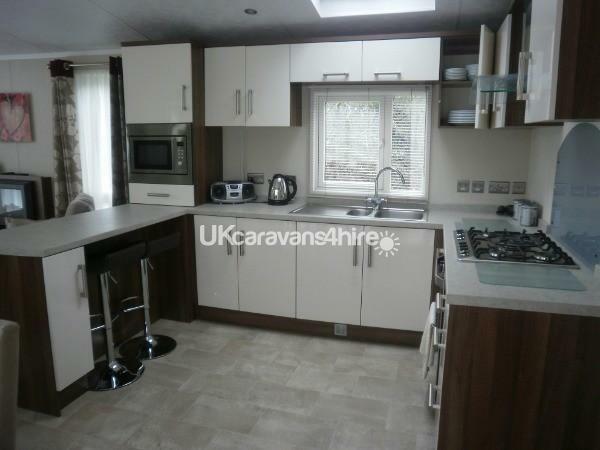 The large kitchen is fully fitted with full size oven, fridge/freezer, microwave. The living and sleeping quarters are divided with a door. 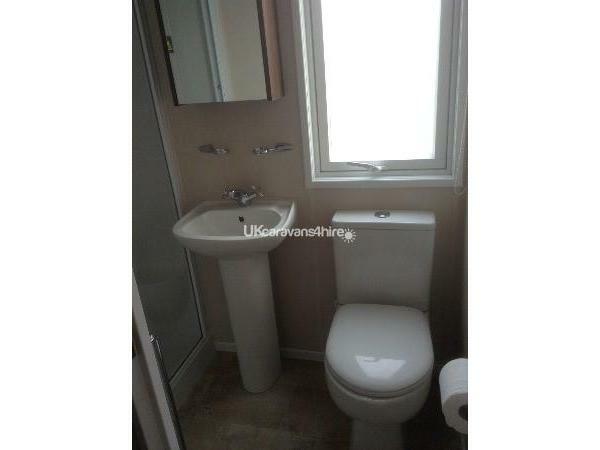 The twin bedroom has a good size bathroom. 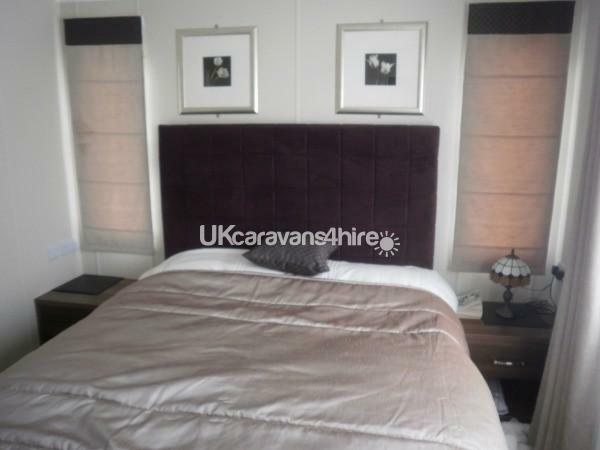 The main bedroom is a great size and offers an ensuite shower room as well as a walk in wardrobe. 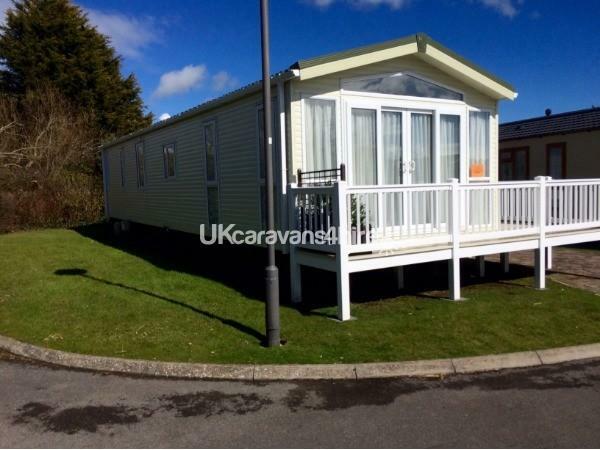 Around two sides of the caravan there is a large decking area for you to enjoy the sunshine and eating outdoors. 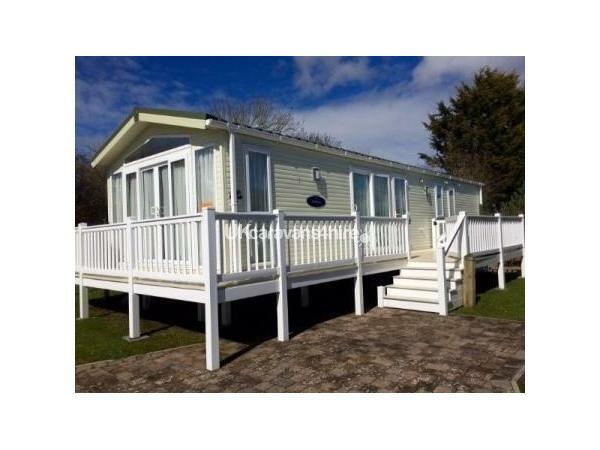 The decking area is gated and makes life much easier when looking after little ones. Bring own towels and bedding. If you want a newspaper or supplies there is a nearby Spar Shop a short walk away. 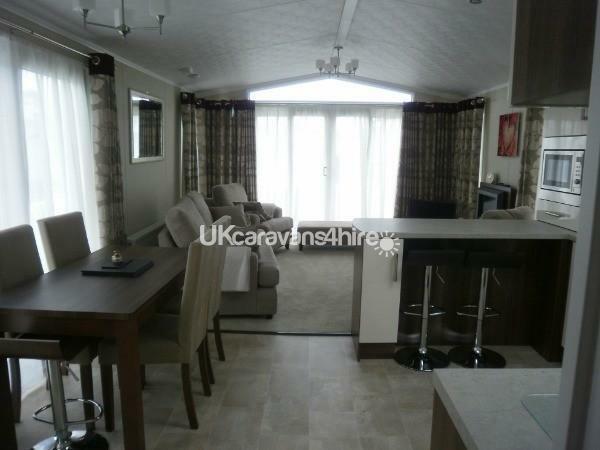 The Windsor community holds only 8 caravans so there are no passing visitors or traffic. The Entertainment complex is also a short walk away where you can purchase your Fun Pass if you want to use these facilities. Weymouth Town offers a Summer programme of events and is a short bus ride away. The bus stop is directly outside the site with the same get on and off stop. Lots of places of interest to visit like Seaworld, The North Fort or Portland to see the lighthouse. 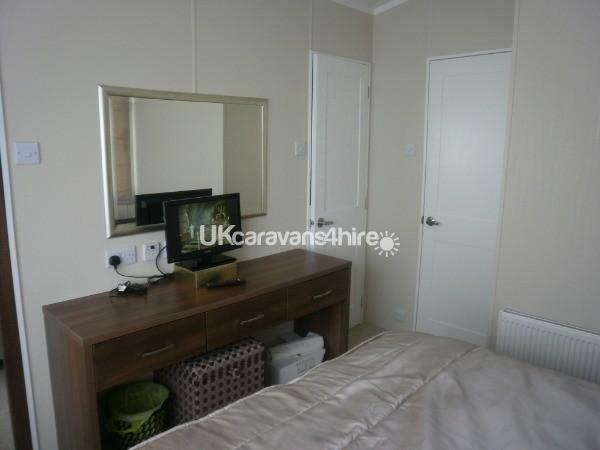 2017 lettings see the addition of a travel cot and highchair (under the single beds). Booking costs do not include FunWork passes. Additional Info: Fun passes have to be obtained in order to get into the Entertainment Complex.